Two athletes I could never be are a backpacker and a triathlete. It really blows my mind that people can spend weeks and months away from home carrying pounds on their backs for miles and miles. It also really blows my mind that people can be super fit at swimming, biking, and running all at the same time! Maybe it’s because I’ll never be great at either of these sports that I have a lot of respect for people that do them. All that being said I’ve romanticized the fusion of running and backpacking. A term that many in the community coin “fast packing”. 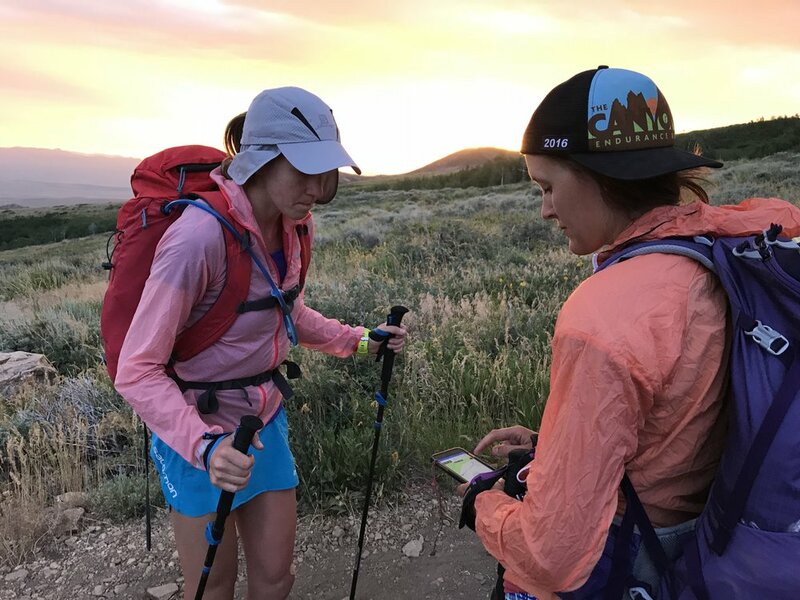 Libby and I did something along those lines on the GR20 last summer and honestly the Tahoe 200 and Moab 240 are a ultra light super supported fastpack in my opinion. So this winter when I won permits for the JMT I felt like I was prepared for the task. I teamed up with Stacey and started getting excited for our big audacious goal! My general approach to adventures are little preparation with lots of stoke. But the JMT is different it has lots of rules and is remote for many miles. 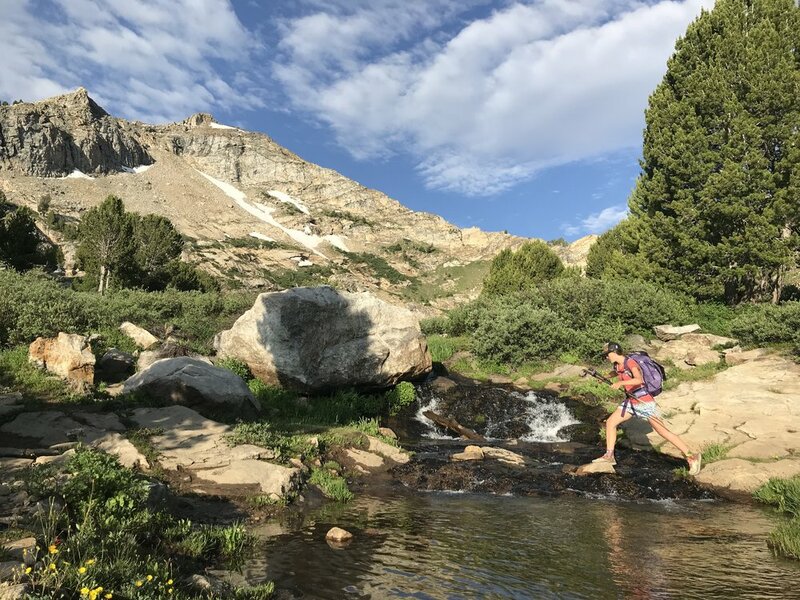 The gear and food required to fastpacking the JMT unsupported over 7 days would be so heavy that it might as well be called backpacking. 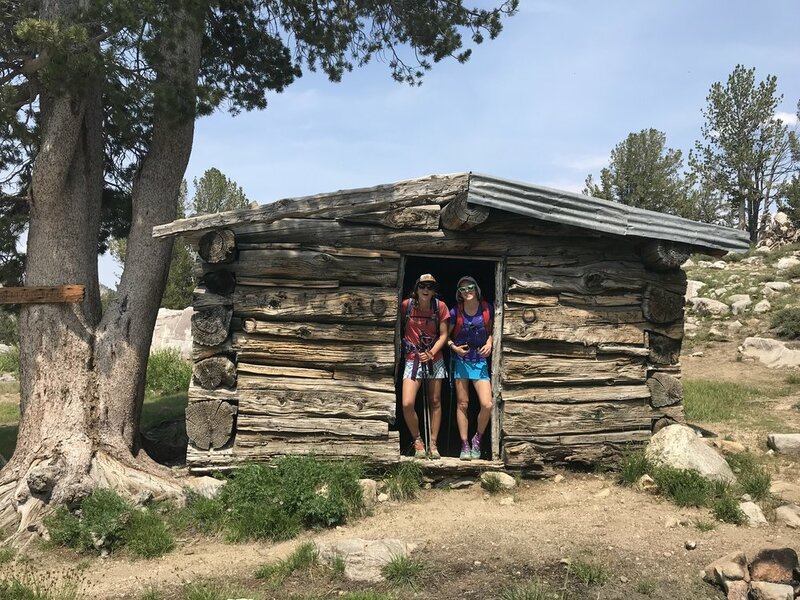 Since Stacey and I had never done something like this before we thought it would be important to do a 2 day adventure to simulate what a bit of the JMT might be like. 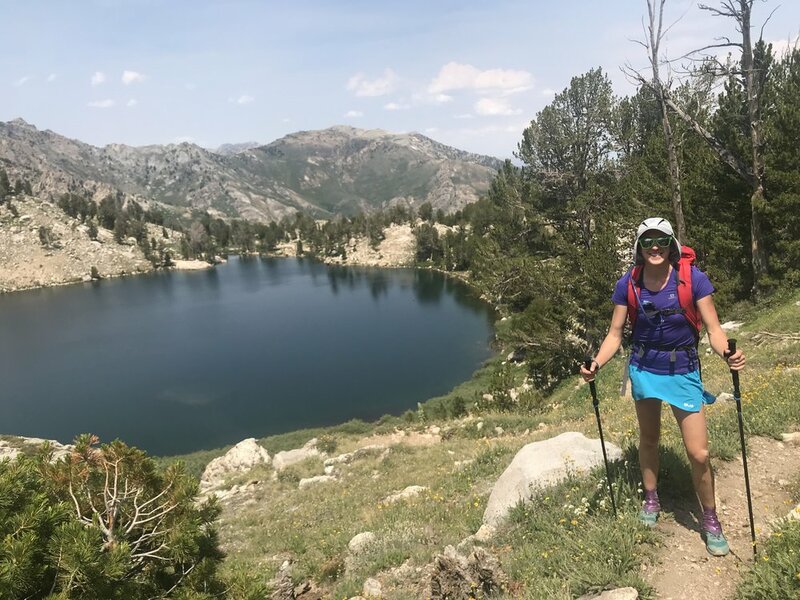 We had both been talking about running the Ruby Crest Trail for a few years but instead decided we’d try fast packing the double with JMT heavy packs over two days. We roped in Libby since she’d also been toying with the idea of running it as well. It was a last minute plan! 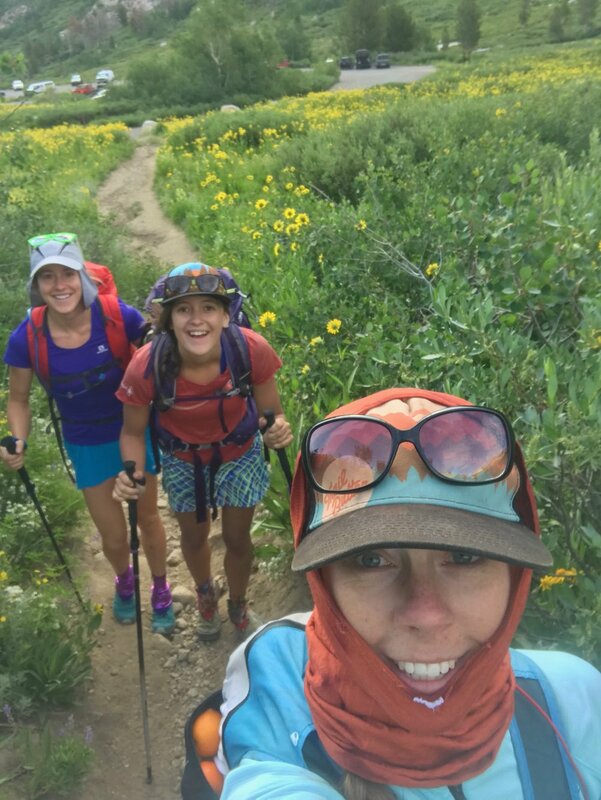 A Monday and Tuesday in the beginning of July Libby, Stacey, and I would be questing off on a Ruby Crest Trail Double! I did little to no research leading up to it but was able to download a last minute GPX file, thanks to my friend Jenelle, to my Gaia app and printed my signature map and elevation chart that I like to bring on all my adventures. We met in the town of Elko the day before the adventure. Sorted and split some shared gear, eat some delicious Mexican food, and then headed into town for a good night sleep. Corbin and Lopi had joined for the first portion since we were just returning from celebrating Mason and Allys wedding in Salt Lake City. So we got a hotel for convenience. Stacey and Libby stayed in their vans outside. An early morning wake up call had us at the North trailhead at 6:30am. The plan was to jam down to the South Trailhead, bivy, and then return to the North Trailhead the next day. The sun rose at 5:15am so the trail was already in full sun as we started out. We moved quickly up to the first pass in no time and were greated with a beautiful vista and alpine lake. Chatting and jogging for a bit the miles passed quickly and we were already on the Ruby Crest early in the day. The next section is all above 10k feet for about 10 miles. You stay right on the crest and the stark contrast of tall mountains falling straight down into arid desert is beautiful. It reminded me a bit of the White Mountains outside of Bishop. We would push up over the pass take a little break and then repeat. It was beautiful and we were really enjoying the landscape. It turned out that a three person team offered an odd dynamic. The person in the middle was the only one that could hear everyone talk while the front and back missed out on half of the conversation. So it often turned into two people talking or the middle person repeating for the person in the front or the back. We didn’t end up filling water till we got through the crest and took a little break. The next section is a traverse it gains very little elevation over a 9 mile section and weaves in and out of the canyons with many little stream crossings and a beautiful water fall. This offered a nice change of pace from the up and down and the constant creek crossings where nice for cooling off in the baking sun. This traverse dumps you out at the last beautiful alpine lake called overland lake. This huge alpine lake has a nice little wood shack for sitting out a storm. We took a quick stop here before powering out the last thousand feet of climbing to King Mt. From here the trail becomes much less traveled. 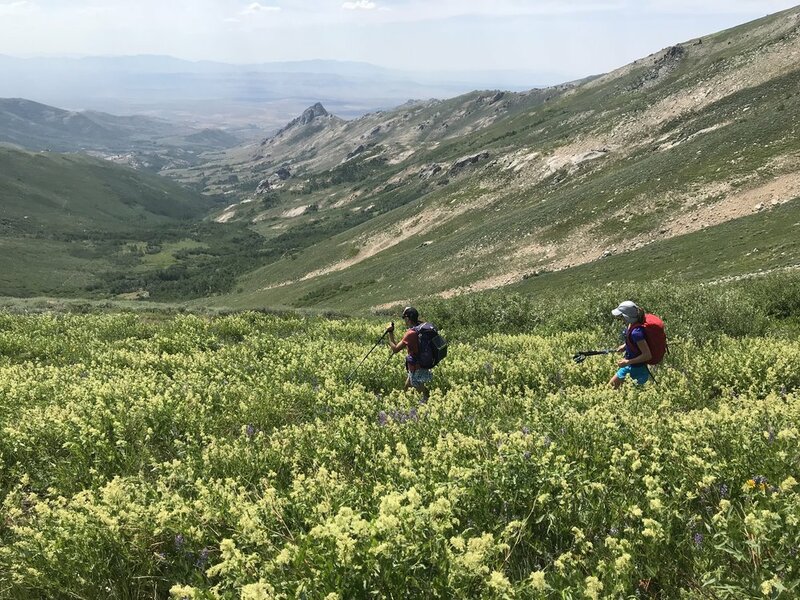 You drop close to 3k feet down into the valleys bellow and the trail is so over grown that at times we thought we might have gotten off trail. This section seemed to go forever. The views were no longer breath taking and the sting of branches and flowers slapping across your legs got old fast. It was the hottest part of the day and thinking of having to go through this again the next day really drug on my moral. 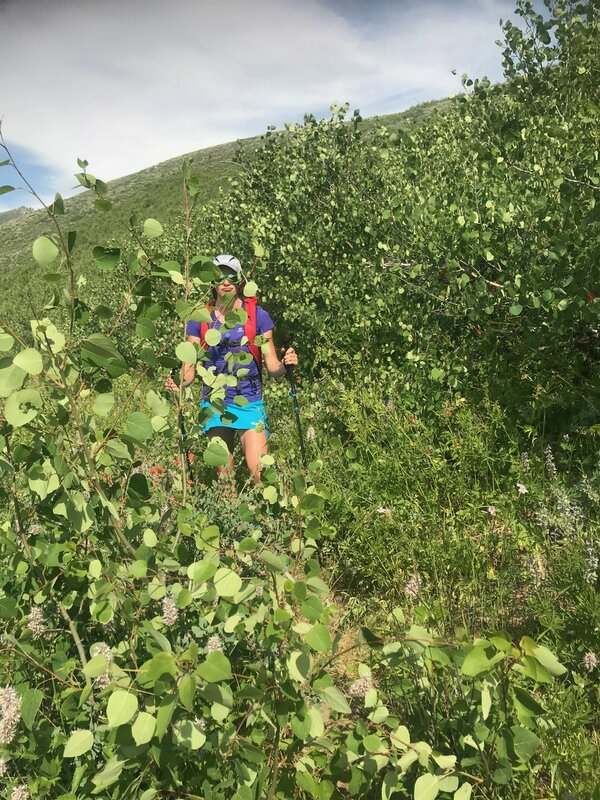 We silently trudged our way through the flowers barely stopping to observe the aspen tree markings from the Peruvian who first traveled the trail. The history down there is very interesting but the heat dampened my interests. You make two river crossings and then the final climb up to Green Mountain before dropping down to the south trailhead. The climb out to Green Mountain went on forever. The heat was suffocating and we had been under the sun for almost a full day. I was noticing more and more the weight of the backpack and was really looking forward to getting to sleep for the night. We took a little break at the top and tried to guess some numbers on how close we were to the South Trailhead. It’s not super clear since the trailhead isn’t generally where most people park since it’s a pretty burly 4x4 road to get up there. But we had a GPS track and a general idea of the elevation at the trailhead. We started down the hill towards the trailhead. My spirits were low as I kept trying to ditch my backpack since I knew we’d be coming back this way. It felt contrived to have to hike with all this weight to the trailhead just to turn around and hike it back up this hill. Libby and Stacey kept theirs and I was out numbered so I silently and unhappily stomped behind them. I joke that I’m not good at out and backs or loops because I lack the motivation to do things I’ve already done again. This was confirmation of this. As we inched closer to the trailhead hours off my predicted time I kept running the possibilities of bailing. Is there a way we can get a ride out of here. If only Corbin had stayed in Elko I would for sure call him and get him to pick us up. 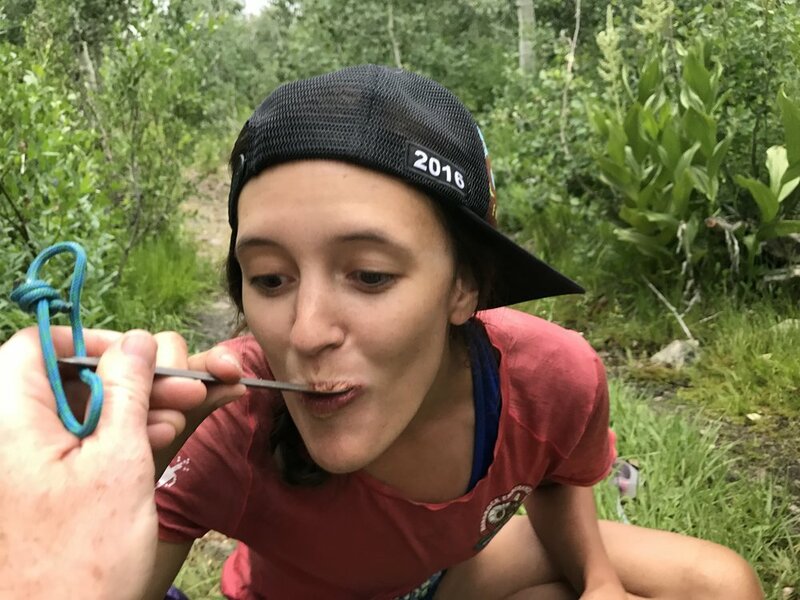 As the sun started to set we decided we should probably boil some water and start cooking our dinners so they would be ready to eat by the time we reached the trailhead. 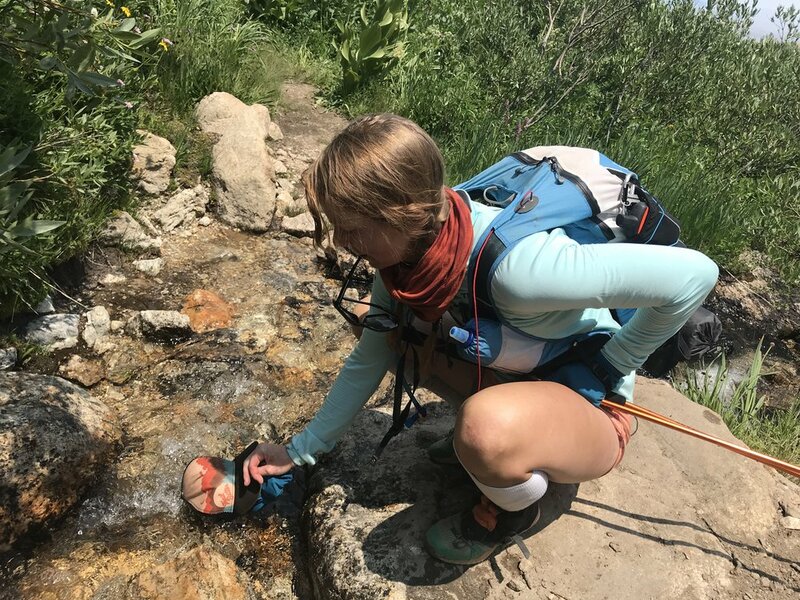 We stopped at the very very last possible spot to get water on the trail and found ourselves pumping water out of a trickle. Stacey and I were sharing a meal while Libby had her own. I used my handy dandy MSR water pump and Libby made the hole deeper so I could get more water faster. We filled up the jetboil, boiled the water, and filled our dehydrated meals with the water. Now we just had to wait for them to hydrate so we continued on our way down to the trailhead. The sun was setting now and we weren’t totally sure what the south trailhead even looked like. Most people do a one way trip and go all the way to the parking area which is several more miles. I slowly walked in the back wishing I had ditched my pack hours ago and stepping carefully as to not squash any of the giant crickets that had appeared on the trail. The last 5 miles or so of the trail are on a dirt road so at times we questioned if we truly were on the trail. As the sky really started to exploded we saw the trailhead! It was a joyous site as I finally mustered the motivation to move but it only signified the half way point. 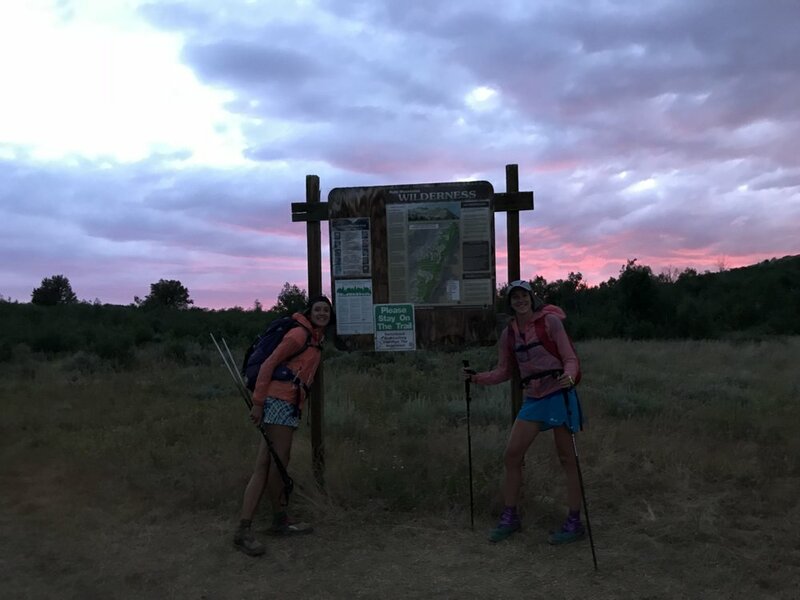 Since Stacey and I had to work the day after we finished we decided it would be nice to get to the North trailhead before it got too late the next day so we planned to knock out the first big climb at night before we went to bivy. We sat and eat our dinners first and then pushed on back to a nice bivy spot right below Green Mountain. We moved quickly because the night time brought cooler air, a full belly of food, and the promise of sleep soon really motivates. I actually really enjoy night running. Maybe more than I do during the day. Being inside your headlamp makes the miles move faster. You don’t have any references of the top or the next point on the trail all you have is a circle of light and progression forward. Also it’s really nice to be cool. Especially after the intense sweating I had done all day long. Unfortunately down on the south side it’s so over grown and humid that the bugs are really bad and the second you put a orb of light right beside your face… the bugs become REALLY bad. We hiked in silence coughing occasionally as we swallowed a bug or cursing and swatting as they flew into your ears and eyes. We made it to our bivy spot around 11pm. Laid out the tarp, blew up our pads, changed our clothing and passed out. Or I guess I should say I passed out. I awoke once to the sound of Libby vomiting her dinner but fell back asleep quickly. Mainly I was just happy to be off my painful feet. The alarm chirped early at 4am. 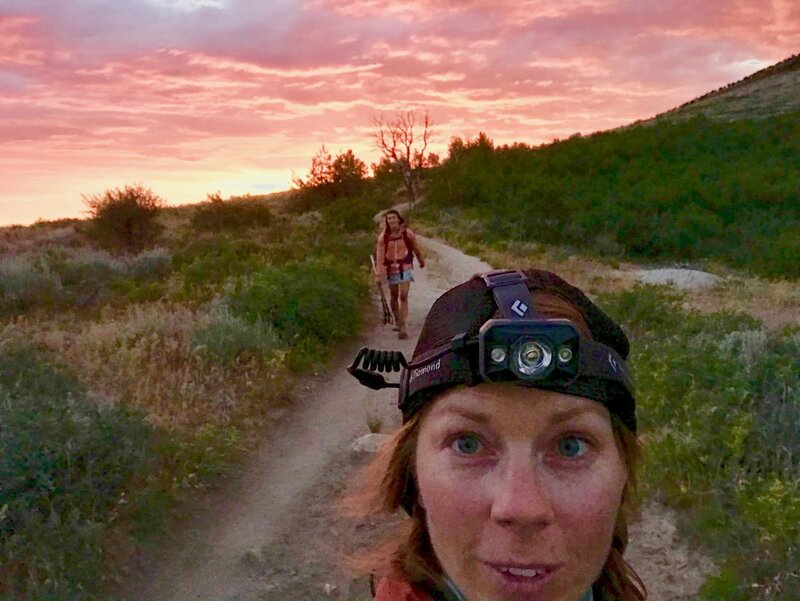 The sun hadn’t risen but it was light enough not to need a headlamp. I went down to the stream and filtered water before boiling some water for breakfast. We were all packed up, fed, dressed and on the trail by 5am. 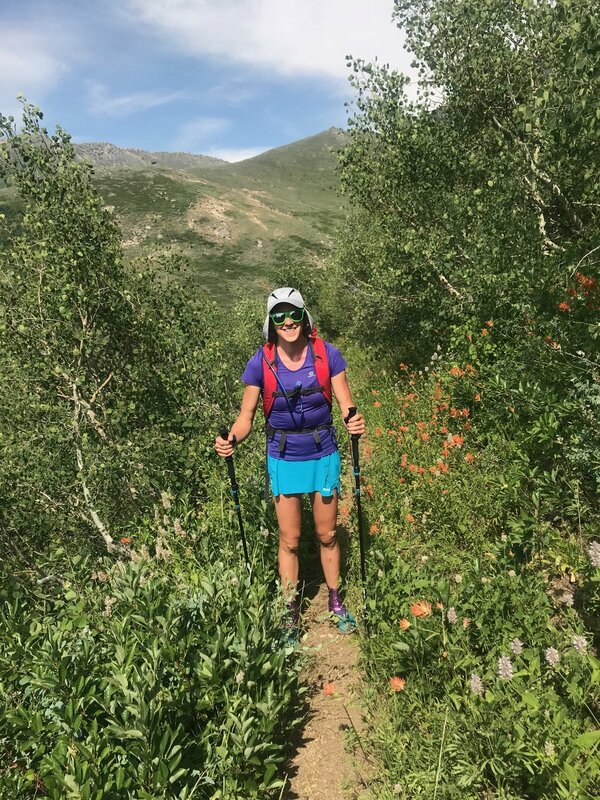 I felt a pressure to get through the low meandering trails before the sun got too hot again but the weight on my back was becoming more and more noticeable. Heads down we hammered it out to King Mountain catching most of the trails in the early morning shade. At the top of King Mt Stacey had to wait about 15 minutes for me and then another 30 minutes for Libby. Our team was in a lot of pain, sleep deprivation, and desire to be finished. It was beautiful but we had already seen it all and at this point we just wanted to be done. Unfortunately or fortunately there aren’t any bail outs at all on this trail. You don’t even have the option to DNF even if you wanted to. You’ve got to get yourself out the way you came. Stacey suggested splitting up so that people could sleep at the parking lot while we waited so that everyone was a little safer getting home that night. Especially since Stacey and I had to work the next day. We all decided that was an okay option and split up for the last 20 miles of the trail. This was really hard for me. Usually in an ultra this is when you get a pacer. The last several miles when your body and mind have broken down is when you need that distraction and company to pull you through. This is also when my neuromas start to rear there ugly heads. I’d been struggling with neuromas for a while now. 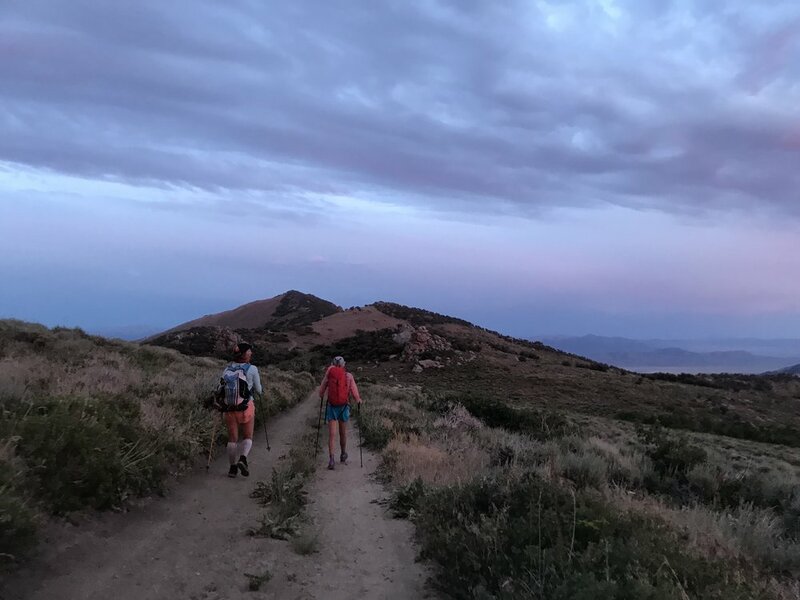 Maybe it’s just a smell of ultras but it wasn’t till after the Tahoe 200 that it feels like every long distance run I do is riddled with debilitating pain. I get to a point where I can no longer walk but I have no option but to walk and the nerve pain in my feet continues to send a shockwave up through my brain and I step again and repeat. Ultra running is no longer fun for me. I don’t want to have to depend on my high pain tolerance to get me through these adventures. I don’t want to feel nerve pain. 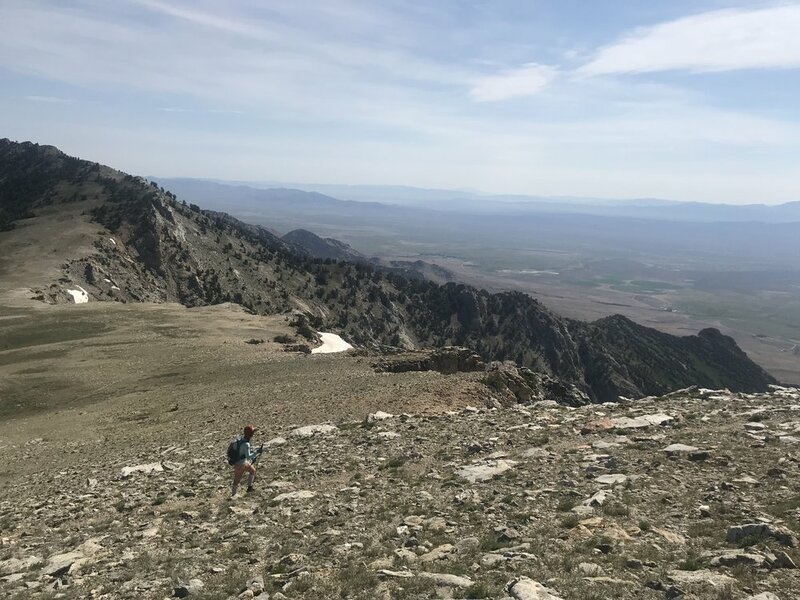 But here I was 20 miles left to go right over the crest of the Rubys in one of the most beautiful places I’ve ever been and I had no option but to smash my nerves under the weight of my body and backpack all the way to the trailhead. I went heads down through the traverse and up to the crest. An impending storm off in the distance motivated me to make quick work of the crest and once I was below tree line again I felt a sense of calm. I was only 8 miles from the finish line. Alone, suffering, and out of water. I kept thinking I’d find some good mountain water somewhere along the trail but it never came. I was hobbling pretty bad walking bow legged trying to get as much pressure off my forefoot as possible. Soon I had been out of water for awhile and I still had one big climb till I was on the final descent. It was hot out by now and I knew water wasn’t negotiable. I wouldn’t be able to gut it out to the finish with out something to wet my mouth. There is one stream crossing right before the final climb. Unfortunately it comes out of a lake… a popular lake and since we had split up I didn’t have any water filtering or even tablets on me. I sat for 30 minutes hoping Libby would catch me and we could share water. Also secretly enjoying being off my feet. But I knew I needed to get out so I filled my bladder with some of the water and drank it up the final climbing knowing that dehydration was worse than the nasty gut issues I may or may not get. As I stood at the top of Liberty Pass I could see the trailhead and the parking lot just a couple thousand feet below me and a short 3 miles. I knew it would take forever but I was so over joyed at the thought of never having to stand on my feet ever again. I hobbled painfully down the trail repeating the faster you run the faster your done. A motto I know all to well. Thinking in my head when will this ever be fun. I can’t even imagine being in this much pain and still having almost 200 miles to go on the JMT. Yet I distinctly remember this foot pain on the Tahoe 200 creeping up well before the 50 mile mark. I don’t know when I’ll learn my lesson or what it will take to cure this pain. When I arrived at the trailhead Stacey had been there for about an hour. I quickly shed my clothing and bathed myself in the nearby river. Laying on the floor of Staceys van I put my feet up trying to get as much swelling off of the damaged nerves. Wow I can’t believe how hard that was! 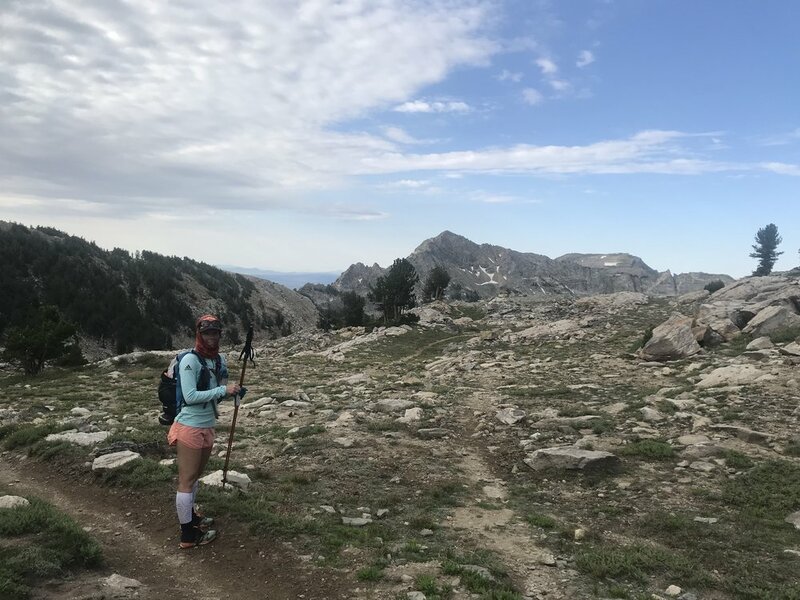 The pain in my feet, the blisteringly hot sun, the 67 miles drug out over two days, the lack of food, the heavy backpack… Stacey and I had a lot to think about as we started to prepare for our JMT effort were we capable of getting up and doing that again for 5 more days? I sure didn’t feel like I could. The Tahoe 200 was easy compared to that. Libby arrived about an hour later and we all drove into town. We said goodbye to Stacey as she headed home and Libby and I made the 5hr drive back to Tahoe... not without a stop at a local taco truck first.